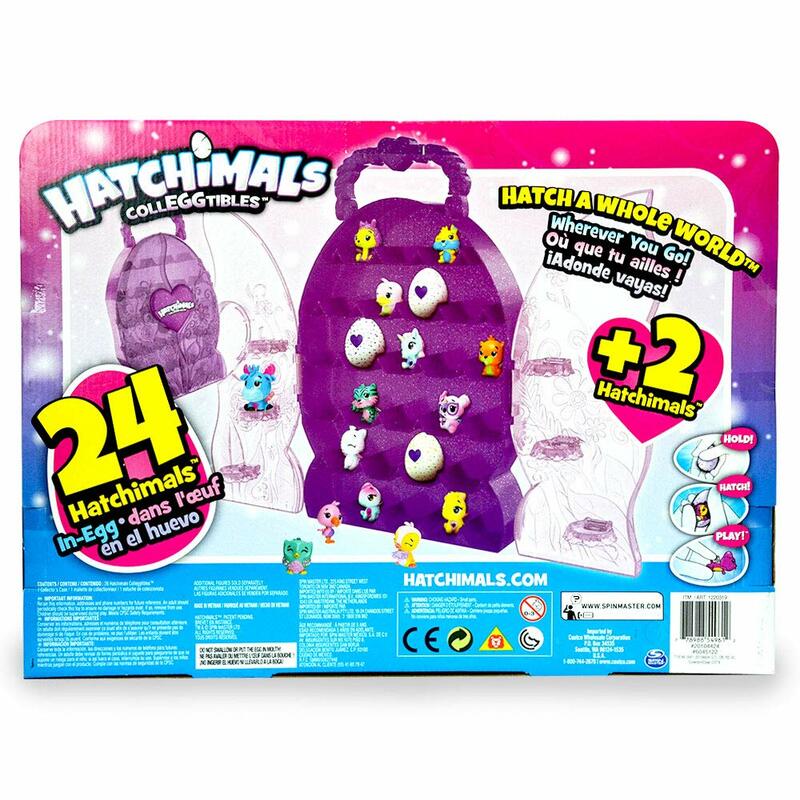 Hatch a whole word, wherever you go, with the Hatchimals CollEGGtibles Deluxe Collector’s Case! 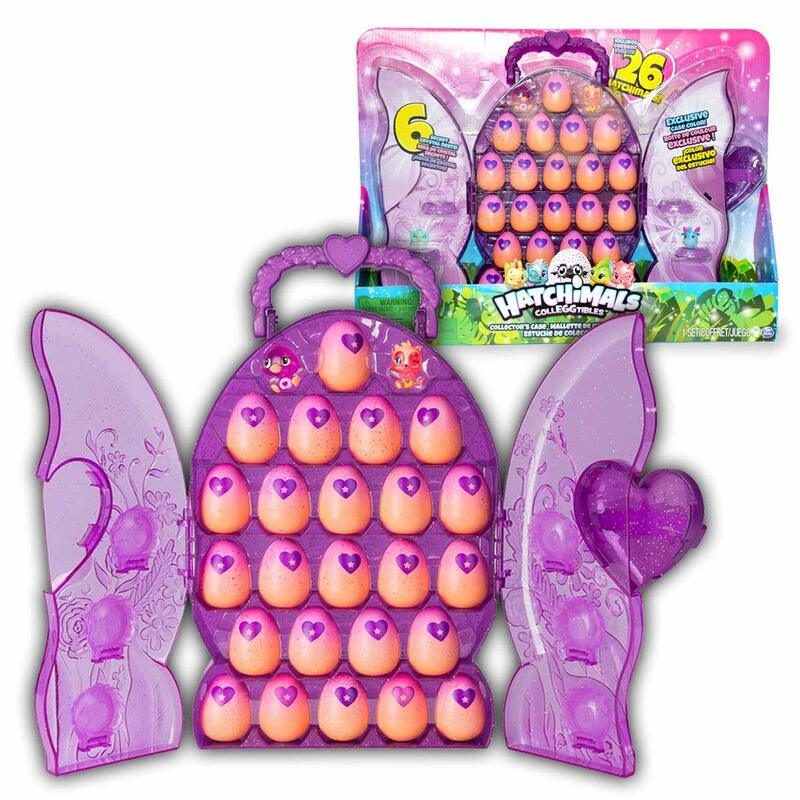 Hatch a whole word, wherever you go, with the Hatchimals CollEGGtibles Deluxe Collectors Case! This glittery purple Collectors Case is the ultimate addition to any collEGGtion! 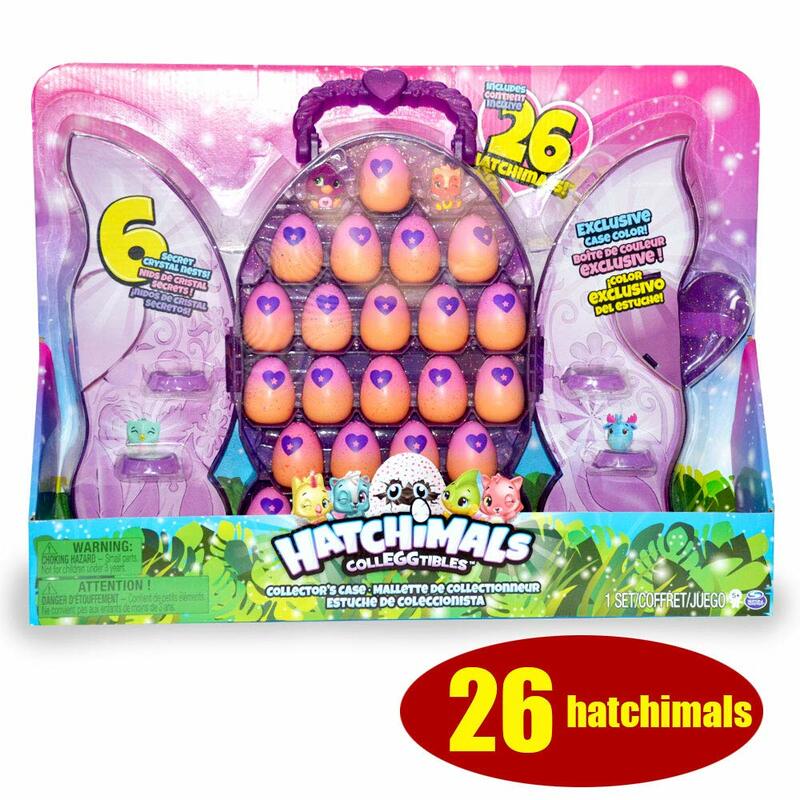 Open up translucent doors and discover 26 Hatchimals CollEGGtibles! 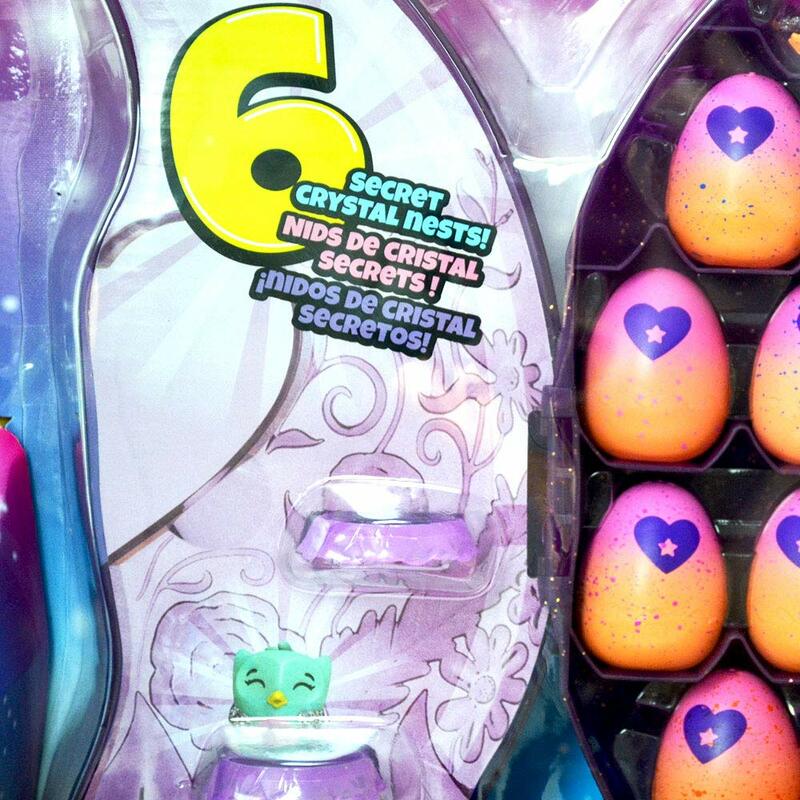 With 2 exclusive Hatchimals ready for immediate play and 24 eggs waiting to be hatched, there are so many new friends to discover! 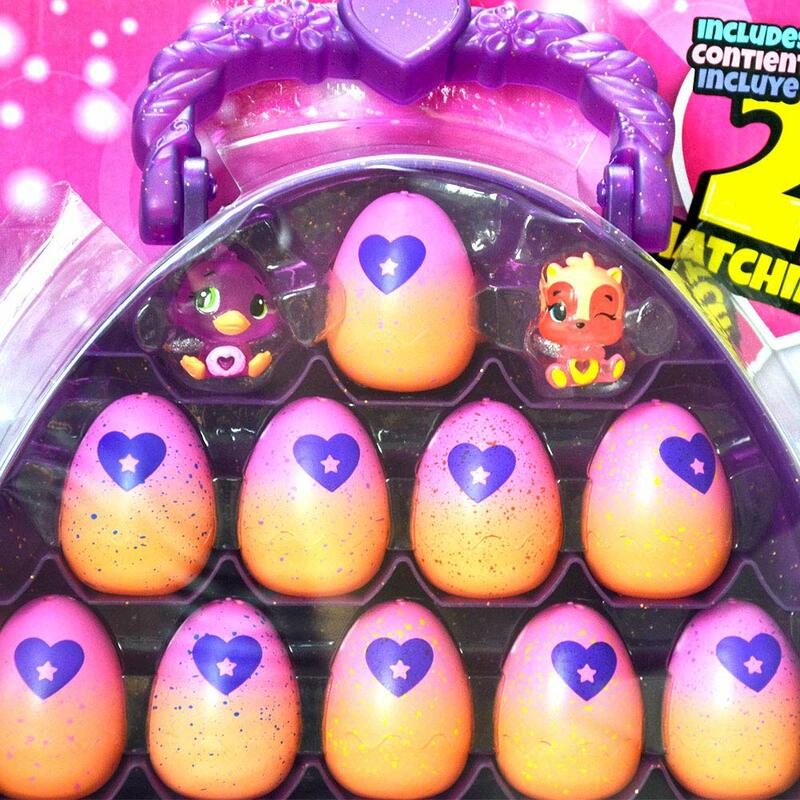 To start hatching, use your love and care to warm up each egg until the purple heart turns pink.